The Raptors had a monster 1st quarter as they put up 42 points in the first 12 minutes of the game. Kyle Lowry led the team with 9 points, while Jakob Poeltl added on 7. DeMar DeRozan dropped 6 points of his own. The only problem for Toronto was guarding Orlando's Aaron Gordon and Evan Fournier, who combined for 18 points. The Raptors led the Magic 42-37 after one. Fred VanVleet led Toronto in 2nd quarter with 6 points, while DeRozan, Poeltl, Delon Wright, and Serge Ibaka all scored 4 points. Lowry also recorded 4 assists in the quarter. 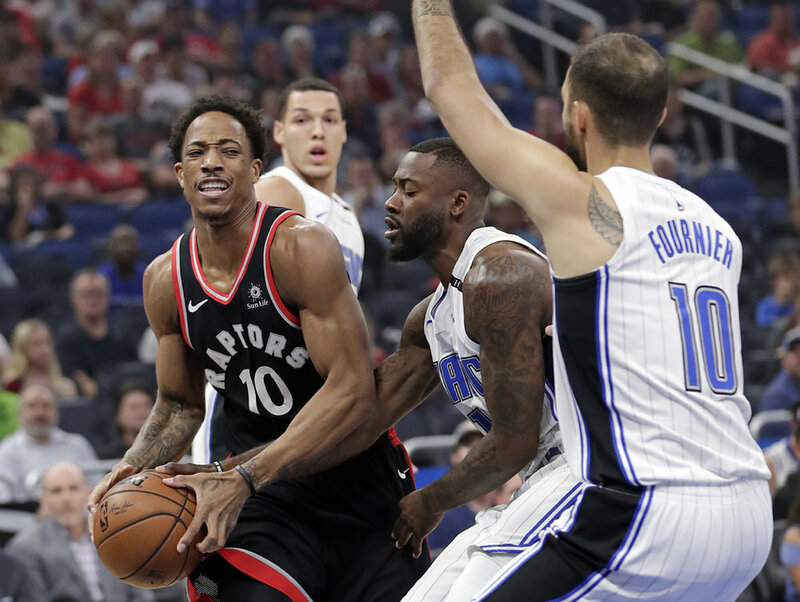 Orlando's Mario Hezonja caused some difficulty for the Raptors on defense as he picked them apart for 8 points. With around 4:36 left I the half, Hezonja had a huge reverse slam off of a Toronto turnover. His dunk electrified the Amway Center and shifted the momentum to the Magic. Toronto was ahead 69-63 at the end of the first half. The Magic controlled the 3rd quarter, led by Fournier's 6 points. Jonathon Simmons put up 5 points of his own for Orlando. Toronto struggled from the charity stripe as they missed a total of 5 free throws. DeRozan put up 8 points in the period, while Lowry and Ibaka combined for 10. Toronto was barely leading as the quarter ended, the score set at 90-89. Toronto's Bench Mob absolutely destroyed the 4th quarter, combining for a total of 21 points. Pascal Siakam led the way with 10 points, and VanVleet dropped 6. With 9:05 remaining in the game, Poeltl flushed down a monster slam dunk of a steak that pumped up the Toronto sideline. With about 25 seconds left, Lowry recorded his 11th assist off of an alley-oop to Siakam. The Toronto Raptors remain as the #1 seed in the East as they defeated the Orlando Magic 117-104.